Obesity in the United States is a growing concern. For over 200 years, since 1779, the United States Marines have been using a well known slogan; “We are looking for a few good men.” It’s not just the marines who are looking. All of the U.S. military branches are looking for good men. But these days, fewer and fewer measure up to the physical demands of military service. Fitness and obesity seem to be at odds. Experts are concerned that if this trend is continues, it threatens the nation’s ability to respond to massive crises and large scale wars where the nation’s life is threatened. This is a serious development, as historically, the U.S. did not maintain a large military. So, in times of war, the U.S. needed to quickly mobilize its citizens and quickly turn them into trained soldiers. With the advent of a large modern volunteer military, the mobilization issue has somewhat lessened, but the crisis is real, even with a modern military. Today, 75% of the 17 to 24 year olds who apply to join the U.S. military are turned down. Reasons vary but two of the top three causes for recruits and enlistees not being accepted are: low test scores in math; literacy and problem solving; and finally, a lack of physical fitness. Statistics show that almost a quarter of all applicants are turned away solely because they are overweight and therefore out of shape; to the point where the effort required to get them into good enough shape to even last the training regimen is not deemed worth the cost and effort. On average, these rejected volunteers are 34 pounds overweight! In the late 1800’s the military introduced a chart prescribing an acceptable range of body weight for various heights. By 1991, and as a result of recruits and enlistees not meeting the height-to-weight standards, the Army introduced a maximum body-fat percentage guideline which helped ease the challenge of recruits meeting weight requirements. Today, studies show 80% of children who are overweight at ages 10 – 15 become obese by the time they’re 25. 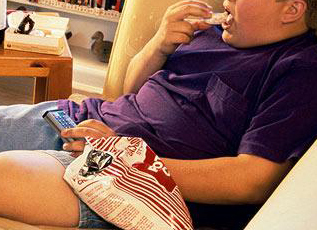 Obesity in the United States has risen steadily between 1980 and 2010. During that time the percentage of young Americans considered obese rose from 5.5% to 16.9%; and for adults, obesity rose from 15% to 35.7%. With a 75% rejection rate for modern volunteers, has led a group of retired military leaders to establish an organization called “Mission: Readiness”. The group’s published findings serve to inform both citizens and government officials of the need to expand high-quality, early childhood education programs, help children establish good eating habits from an early age and encourage schools to provide healthy lunch programs. Additionally Mission: Readiness encourages policymakers to improve the quality and quantity of public school’s physical education programs. Whether you or your family members plan to enter the military or not, being fit – mentally and physically – benefits everyone, and society as a whole. The health requirements of a soldier, are little different from the health requirements of any young person hoping to have a productive, enjoyable, and healthy lifestyle. Helping your children establish good eating habits and making sure they participate in regular physical activity will start them on the road to a healthy lifestyle. We’ve got to combat obesity in the United States starting with our own families. One of the most efficient and effective methods, especially when time is scarce, is jumping on a trampoline or rebounder; and, it’s just plain fun! Think about how much enjoyment children have when jumping on a trampoline…the laughter and squeals associated with that movement. When young people experience the freedom and happiness that goes along with playful movement they tend to add it into their day more often, forming a positive habit that carries through to adulthood. And regular physical activity helps combat obesity and a stationary lifestyle. So get up and get going. Move yourself and your family to be active participants…be mission ready for your life!